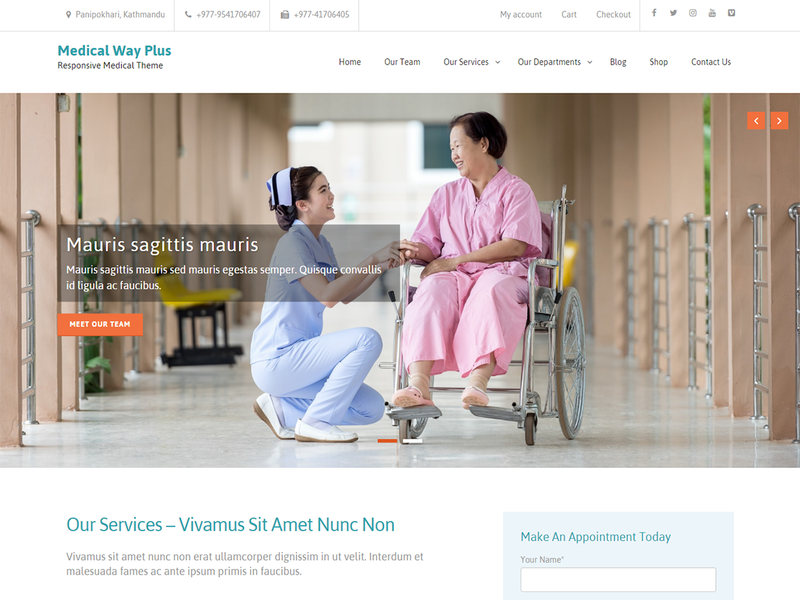 Medical Way Plus is a responsive health theme for doctors, hospitals, medical clinics, pediatric, dental, gynecology, general therapist and all medial websites. It can be a sound partner for developing functional and flexible medical websites as it comes with in-built theme options, custom widgets, and sections. Get a perfect, modern and professional website with no coding knowledge. Making your website your own is easier than ever before with Medical Way Plus.